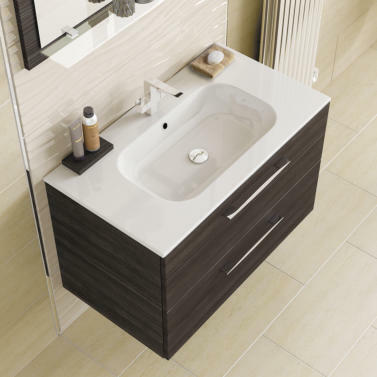 At Village Bathrooms we supply a large range of high quality bathrooms, fittings, bathroom furniture and accessories. We only provide furniture and fittings from trusted sources, ensuring high quality and guaranteed standards - ensuring peace of mind for you to enjoy and be really proud of your new bathroom. Village Bathrooms specialise in the design, supply and installation of every aspect of your dream bathroom. We cover everything from your new bath, shower, sanitary-ware through to fitted bathroom furniture and finishing touches such as taps, mixers and towel rails. 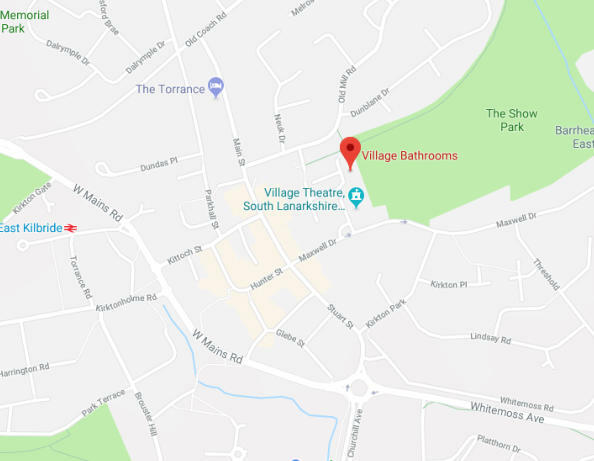 Whatever your budget or style, Village Bathrooms has a range of bathroom suites, furniture, tiles and accessories to suit. We hold ourselves responsible to an excellent quality of work to ensure that every fitted bathroom we install is completed to the highest possible standard. We pride ourselves in offering a level of customer service that is second to none. To experience this for yourself, come and pay us a visit at our Showroom in East Kilbride. Village Bathrooms take there attention to detail, quality workmanship and customer service very seriously. Much of our work is through customer referrals - and we are proud of that. We are proud of that fact and are keen to make every job worthy of our customer recommending us to someone else. This Gallery showcases some of our work. 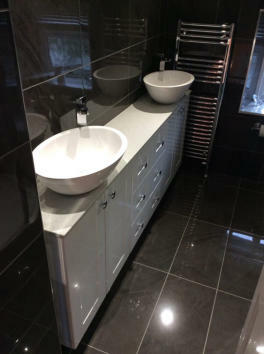 Hopefully it will give you confidence to come and visit our showroom and let us quote for your dream bathroom!